When you run an industrial facility, you know the importance of maximizing productivity and minimizing downtime. But, these factors can directly link to the cleanliness of your workplace. And not only that, clean and healthy workplaces can also contribute to employee retention and reduce sickness. That’s why it’s important to make cleaning your industrial workplace a high priority. 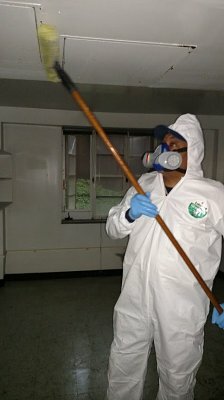 Cleaning and decontamination removes dangerous chemical build-up, mold and pollutants. These can impact on your employees’ health, while also damaging crucial equipment. Penn Jersey began providing cleaning services in Philadelphia over 47 years ago. Since we started our dedication to supporting local industry and business has never waned. Our cleaning services will boost your workflow and give you peace of mind that your business is always safe, clean and hygienic. Our specialist and highly trained industrial cleaning team will carry out a variety of industrial cleaning requirements on your behalf. At Penn Jersey, we use the best cleaning products and the latest equipment to return your building to its best. Our team will eliminate odors, bacteria and other pollutants. We take pride in leaving nothing behind other than pristine surfaces, floors, windows and equipment. We guarantee that our customized cleaning services will exceed your expectations, while also avoiding interrupting your daily business routine. If you are looking for a Philadelphia-based business cleaning company that puts your needs first, then you won’t be disappointed with our service. We know that running a business can demand a lot of your time and attention, and therefore cleaning duties can fall down the list of priorities. But before long, a dirty or poorly maintained workplace can seriously start to hurt your bottom line. Therefore, it’s time to invest in quality, reliable and efficient cleaning services from Penn Jersey.